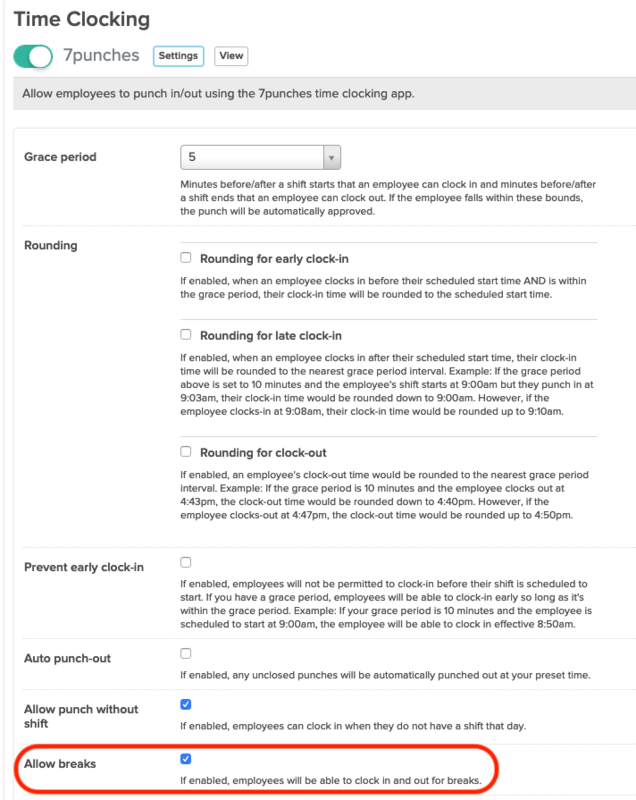 You can enable the ability for Employees to clock in and out for their breaks in order to ensure labor compliance. 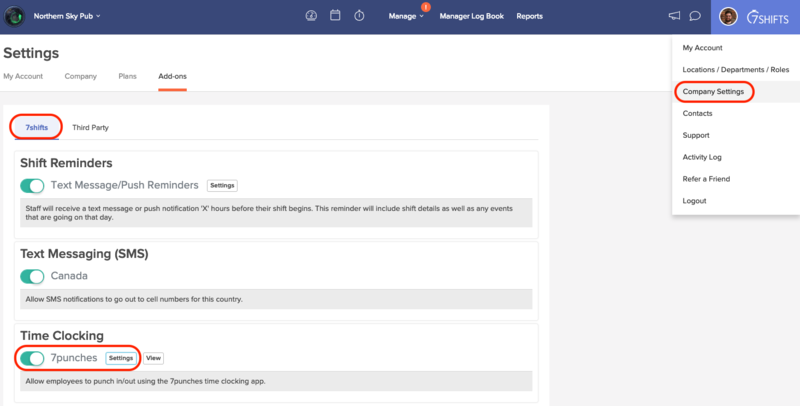 Once the breaks feature is enabled, you can select your break type. Choose if your breaks will be paid or unpaid. 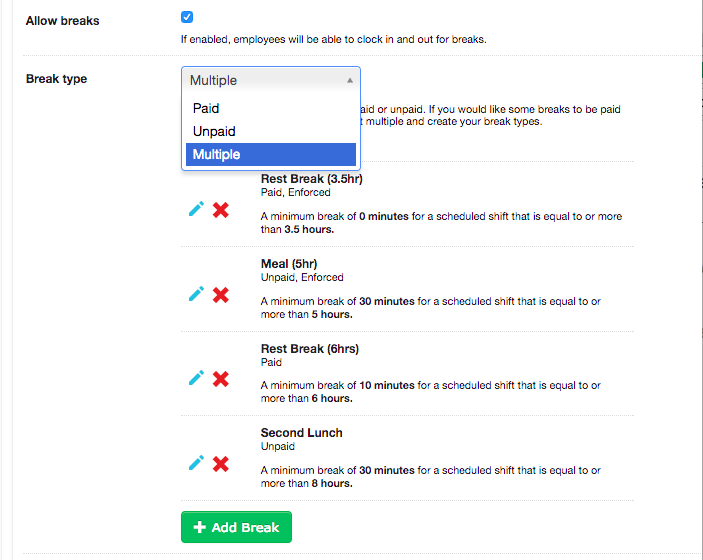 If you would like some breaks to be paid and others to be unpaid, select 'Multiple'. To select your Break type, click the drop down menu and select your preferred type. To add a break, click the green add button and fill in the Break type, Break name, Break length, Shift length and Enforced requirements to adhere to your labor laws. Then click save. 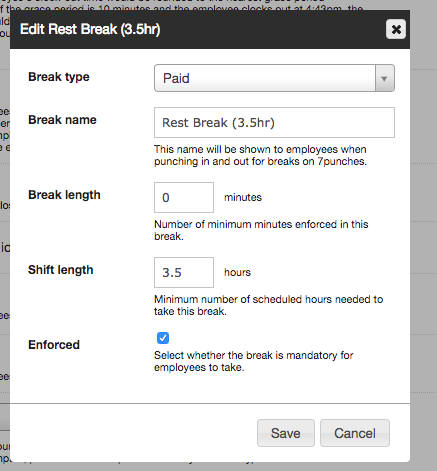 Custom breaks will appear as options for employees based on the scheduled shift duration.